Dear Tammy: I recently heard that millennials tend to take the same vacation every single year. Is this true? Tammy: Yes, it’s true. Once a millennial finds a vacation they like, chances are they will continue booking the same vacation year after year. Even though most travelers will return to previous vacation places because they really enjoyed something about that particular place, they will also vacation in various other places located around the world. So why do millennials continue to take the same vacation year after year? The simple answer is because they don’t want to spend the time looking for a new place to take their next vacation. They figure once they find a vacation spot that they really want to go to, they’re done. They quickly grow tired of performing all the necessary research required to plan a vacation. And as every good travel agent knows, there’s definitely a lot of work involved with planning a vacation! The reason they don’t want to spend any more time planning a vacation is understandable. A little more than half of today’s millennials are afraid to even take any time off of work. They say it’s because when they return from their vacation there’ll be even more work for them to do. This tells us that many of today’s millennials feel overwhelmed and overworked. So the last thing they want to think about when experiencing a heavy workload is taking time off. This makes the sheer thought of planning a new vacation something they’d rather avoid. While planning a vacation does require a lot of research and therefore takes a lot of time to do, the process should be one that’s enjoyable. Because millennials see planning a vacation as a chore it’s likely that they’ll just continue taking the same vacation every year. This is where you, as a travel agent, come in! 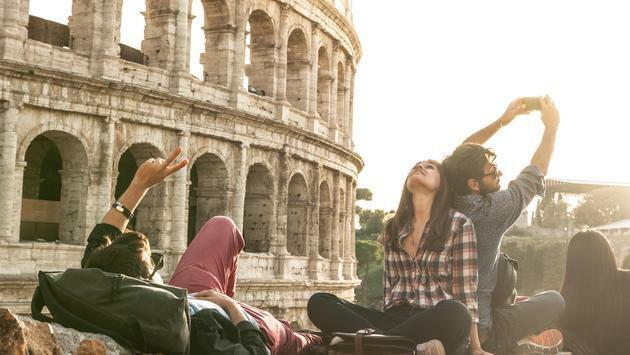 Because millennials feel stressed out whenever they start thinking about planning a different kind of vacation, it means that they’re willing to spend more money to avoid the process of researching. They’re not only willing to pay a travel agent to plan out their vacations, but they’re also willing to spend more money while on vacation in order to avoid looking up anything on the internet. This is great information for all travel agents, especially those who focus on providing travel-related services geared towards millennials. Whatever you need to know about the travel industry, Tammy Levent, the CEO of Elite Travel, has the answer. Her years of experience, sense of humor, and even a little sass now and then, makes her the perfect expert for this Agent to Agent column. Levent started Elite Travel with no capital and no connections, but has since expanded in every sector of the industry, from adventure to corporate. She is also the founder of the Travel Agent’s Success Kit (TASK) and the recipient of multiple Travvy Awards. She can also be seen as the resident traveler extrodinaire with JustGoTrav on NBC’s National Daytime lifestyle show and Digital on You Too America. Agents turn to Levent for answers and she’ll give them here.Check out her website at tammylevent.com for more information.